The leader of Dagestan has announced his decision to resign. He has been invited to arrive in the Kremlin to discuss a candidacy of his successor, sources reported. The "Caucasian Knot" has reported that on September 25, sources close to the Vladimir Putin's administration reported the upcoming resignation of leaders in a number of regions, possibly including, according to the "Kommersant", "one or two subjects in Northern Caucasus." 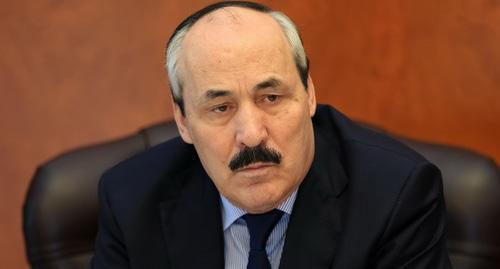 In his interview to the "Govorit Moskva" Radio Station, Dagestani leader Ramazan Abdulatipov has announced his intention to resign and mentioned his age as the main reason for such a decision, the RIA "Novosti" reports. "I will file a resignation letter, most likely today," the RIA "Novosti" quotes Ramazan Abdulatipov as saying. Today, Ramazan Abdulatipov, who is on vacation, has been urgently invited to come to the Russian presidential administration, where he was offered a number of positions. Besides, officials discussed with him a candidacy of his possible successor as the leader of the republic, reported a source among the Ramazan Abdulatipov's subordinates. "It was unexpected for him, and no one knew about that ... Ramazan Abdulatipov was asked if he had any thoughts about who could temporarily perform the duties. He said he had no special wish," said the source as quoted by the RBC. Abdulatipov orders to speed up payment of compensations to Mokok fire victims, Authors of obscene appeal to Ramazan Abdulatipov beaten up in Dagestan, Nogai People's Congress notes intensified confrontation with Dagestani authorities.